"Dr. Rimm is a welcome voice of calm and reason— someone who offers practical advice, with almost immediate results. She’s a guardian angel for families who need a little or a lot of guidance." — says Katie Couric, former NBC Today show host. Dr. Sylvia Rimm’s many years as a contributing correspondent to NBC’s Today Show and as a favorite personality on public radio make her a familiar child psychologist to many audiences. She gained a national following by her common sense and practical parenting and teaching advice. She has a deep understanding of how kids think and interact, and is an inspiring and motivating presenter. In her nationally syndicated parenting column with Creators Syndicate, Dr. Rimm answers hundreds of letters each year from parents around the world. Dr. Rimm is a psychologist, director of Family Achievement Clinic in Cleveland, Ohio, and is a clinical professor at Case Western Reserve School of Medicine. Families come from all over the United States for help. She also counsels gifted children and their families at Menlo Park Academy, a charter school in Cleveland. Many books have been authored by Dr. Rimm, including How to Parent So Children Will Learn and Why Bright Kids Get Poor Grades, both 2008 National Best Books award winners from USA Book News. 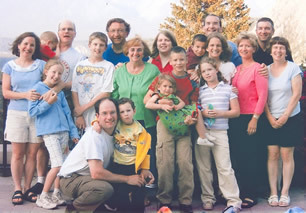 In addition, Dr. Rimm has also written Growing Up Too Fast: The Rimm Report on the Secret Lives of America’s Middle Schoolers, Rescuing the Emotional Lives of Overweight Children, Keys to Parenting the Gifted Child, Raising Preschoolers, See Jane Win, How Jane Won, and See Jane Win for Girls. See Jane Win, a New York Times Bestseller, was featured on the Oprah Winfrey and Today shows and in People Magazine. Her newest book is Jane Wins Again: Can Women Have It All? A Fifteen Year Follow Up. Dr. Rimm is co-author with Gary A. Davis and Del Siegle of the textbook Education of the Gifted and Talented, now in its 7th edition. She served for many years on the Board of Directors of the National Association for Gifted Children (NAGC), and received the prestigious Anne F. Isaacs, Robert Rossmiller and Palmarium awards for her lifetime contributions to gifted children. Dr. Rimm speaks and publishes internationally on family and school approaches to guiding children toward achievement, reversing underachievement, gender issues in achievement, and social and emotional issues related to giftedness and creativity. She is a dynamic and inspiring speaker who fascinates audiences of all ages and backgrounds, tailoring her educational talks to the special themes of the audience. Dr. Rimm draws experience and inspiration from her wonderful husband; her very successful children: 2 daughters and 2 sons, and their spouses; and 9 vivacious grandchildren. Please click to view Dr. Rimm's Resume. ©2008-2018 by Sylvia B. Rimm. All rights reserved.